The One Hundred Years More: Sustainability & Thought Leadership Symposium will gather innovators, leaders, suppliers, chefs, policymakers, and ambassadors of sustainability for two days of knowledge-filled discussions, exhibits and demonstrations. Sustainability in the 21st century means understanding how all industries can work together to make positive contributions benefiting the entire food supply chain ecosystem. General Admission FREE RSVP ticket includes full access to both days of the symposium. Symposium & Celebration Party ticket includes full access to both days of the symposium as well as a spot at the Celebration Party on night one. The celebration party includes access to alcoholic and nonalcoholic beverages, light snacks and live music. 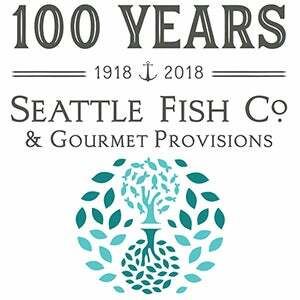 Hosted by Seattle Fish Company.